Don't open the oven while the cookies are baking. If you can't see through the little window, you might need to clean it! Now, let's get to our first tip. Now that you know the universal pieces of wisdom, let's discuss some steps that many might not know, like don't grease your pans. Greasing them can cause your cookies to spread too much, possibly merging into one giant cookie. If you're really having trouble with your cookies sticking to your pan, there might be something wrong with it. Is it clean and shiny? Or is it encrusted with the blackened residue of years of baking and roasting? If it's the latter, that's why your cookies are sticking. 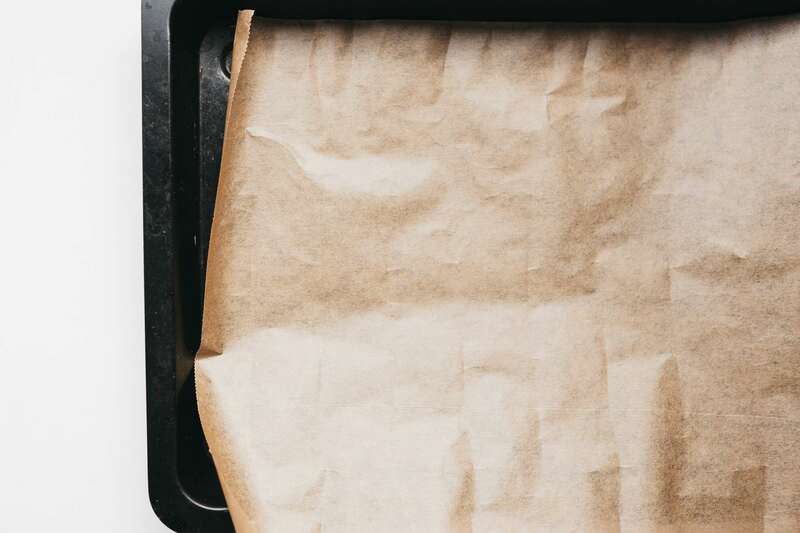 You can use a baking mat or a sheet of parchment paper, but you might be better off replacing the blackened pan with a new one. Also, for future reference, greasing your pans is the primary cause of this baked-on gunk. If you break from this habit, your new pan will last much longer. Speaking of pans, your baking pans should be light colored rather than dark. Cookies baked on dark pans will tend to burn on the bottom. 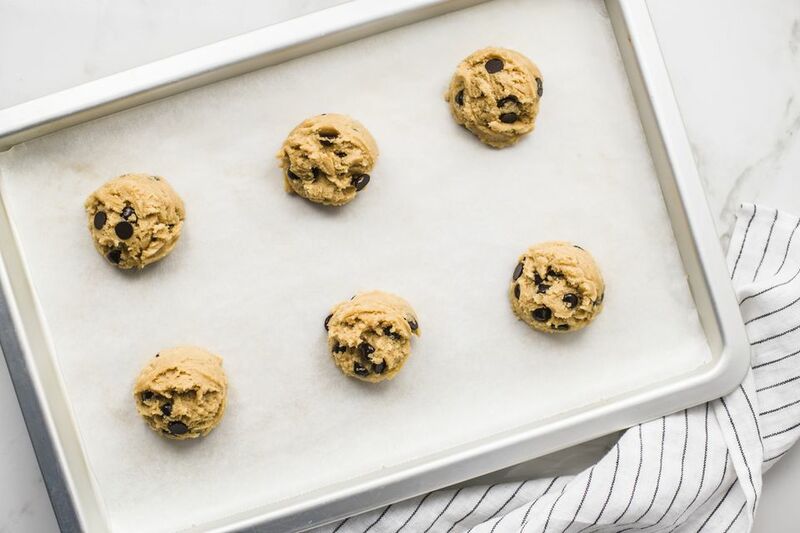 The reason for this is that dark sheets absorb more heat than light ones, enough that it will actually make a material difference in the outcome of the cookies. So keep that in mind when it's time to spring for a new baking pan. It's been discussed elsewhere, but the issue with measuring flour by volume—that is, using units like cups—is wildly imprecise. The problem is further compounded by the fact that scooping the measuring cup into the bag of flour can add up to 30 percent more flour than what is called for. The solution: measure your flour in grams instead of cups. When a recipe calls for a cup of flour, measure out 130 grams of flour instead. Fifteen minutes! Not more and not less. If the butter is too cold, it won't cream properly and the resulting cookies will be too dense. On the other hand, if your butter is too soft, it won't hold enough air during the creaming process and thus produce a heavy, greasy dough rather than a fluffy one. Fifteen minutes on the counter is the exact right length of time. The issue with cheap butter is that it can contain up to 19 percent water, which not only makes it harder for the eggs and butter to emulsify, but it will also contribute to excess spreading. European butter tends to have a lower water content (and thus a higher fat content, which is what you want), as does butter from some small domestic dairies. Not surprisingly, butter with a higher fat content also tastes better. But whatever you do, don't use that spreadable whipped butter that comes in a tub. This product is high in water and, as the name indicates, also has air whipped into it, which will throw off everything from creaming to baking. This is mostly an issue with rolled cookies, which is difficult since you need to use a rolling pin and that's not exactly gentle. And the more you roll, the tougher your cookies will be (due to the working of the glutens). But there are a couple of things you can do to minimize this. Firstly, dust your surface with powdered sugar instead of flour. Excess flour will contribute to cookies that are too hard. (With chocolate cookies, dust with cocoa powder instead.) And secondly, roll your initial dough into as uniform a shape as you can, and when you use your cutters, get as close to the edge of that dough, and as close to each other, as possible. This minimizes the amount of scraps you will have to re-roll, as those re-rolled cookies are usually misshapen and tough. You read somewhere about hotspots in your oven and how rotating your pans during baking will help mitigate them. It makes sense, until you realize that opened the door releases the heat. And thus, the relatively minor benefit of rotating your pans is completely nullified by the fact you've just let all the heat out of the oven. Instead of eliminating hotspots, you've eliminated all the heat, period. Considering cookies only bake for 10 to 12 minutes, opening the oven midway through baking leaves no time for that heat to build back up again. The results are cookies that don't brown enough on top and might not rise properly. No, you're better off just baking the cookies, hotspots be darned. Letting your cookies cool directly on the hot pans will continue to cook them, which can lead to over-browning on the bottoms. In addition, because the steam can't escape as well when the cookies are sitting on the pan, they can get a bit soggy. The solution: as soon as they're cool enough to move (no more than 2 to 3 minutes), transfer them with a spatula to a cooling rack with at least 1/2-inch of clearance underneath to ensure proper airflow. The best racks for cookies are formed from a tight wire grid (rather than the wide bars of a roasting rack).